Despite the fact that the X-Men film series is one of the oldest live-action superhero franchises, it has yet to really make any serious jumps to television. That's always seemed somewhat odd when we consider how aggressive the competition has been in that regard. Marvel and DC have experienced immense success by bringing both famed and lesser-known heroes and side characters to the small screen, but the X-Men have remained a firmly silver screen affair (outside of animated series). However, it now looks as though the X-Men universe will soon make its way to television in a major way, as Legion has officially received a full series order from FX. Production on the full eight-episode season of Legion will begin this summer in Canada, and the show is set to air on FX in early 2017. Although we don’t know much about the X-Men characters that will appear in the series, we do know that the upcoming show will feature a talented and intriguing cast including Dan Stevens, Aubrey Plaza, Jean Smart, and Rachel Keller. Here's our very first look at Stevens from the show. The story of Legion is a wholly intriguing one. It tells the tale of a young man named David Haller, son of X-Men mentor Professor Charles Xavier, who has struggled with mental illness his entire life. Despite the fact that he constantly seeks out psychiatric help, David has continuously had auditory and visual hallucinations that he soon realizes might actually be far more real than he once thought. Unlike the X-Men films, Legion will take place in a world where the existence of mutants like David is only known to the government and the mutants themselves, so expect some shady Fox Mulder and Dana Scully types to make their way into David’s life at some point. It’s worth noting that, while Legion most certainly takes place within the X-Men mythos, it’s not necessarily designed to tie into any of the events and universe that we have seen on the big screen. The creative forces behind Legion have reportedly envisioned the narrative of the series as a “stand alone” project set within the confines of a parallel universe, with little intention of using it to tell stories that tie into the greater X-Men universe. While this may come as a disappointment to some, we’ve often seen that this is typically the smarter move for a superhero universe. Properties like Daredevil and Jessica Jones work in large part because of their minimal relation to the greater Marvel Cinematic Universe, while Agents of S.H.I.E.L.D has struggled in its efforts to consistently tie in with the movies. If you ask me, we’ve gone far too long without a series that delves into the action and chaos inherent to the greater X-Men universe. Even if Legion doesn’t tie into the films or all the mutants we know and love, it will be great to see a serialized drama that delves deep into the world of Marvel’s most misunderstood characters. 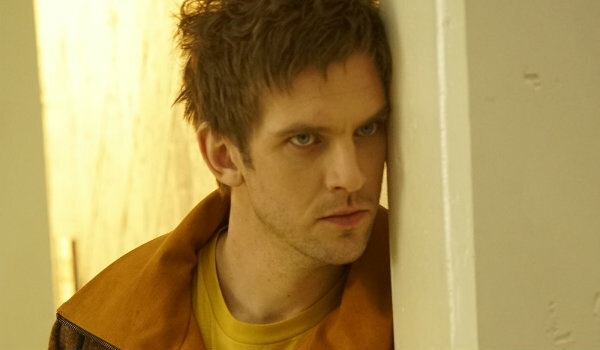 Legion will premiere on FX in early 2017.